I'm looking to drop a 1jz into my fd3s drift car and don't fancy the idea of a R154. There all old, very expensive and aparently not so nice to actually shift with. This is the R154, although admittedly i don't know if this bell housing is the same 1JZ one used in ad's commonly. So i guess my question is... will it fit?! Has anyone done this combo in an FD already? i am planning on using a CD009 when i go 2jz in my FC and i have also been researching if it will fit or not. 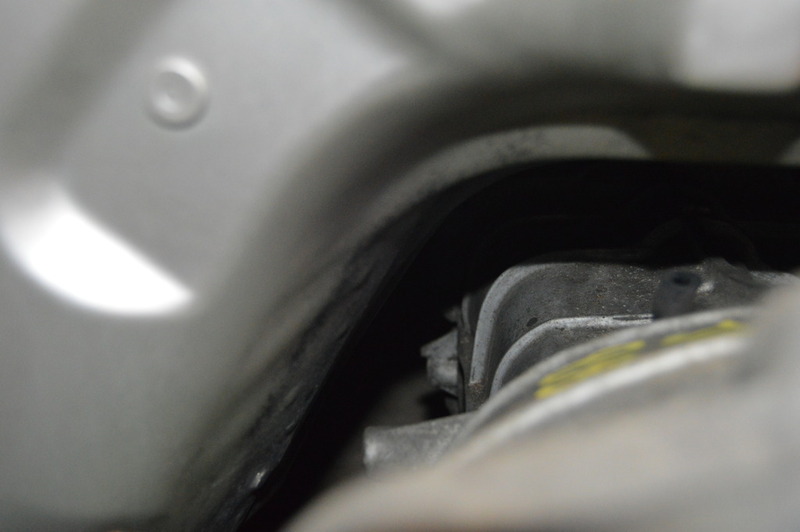 From what i have gathered so far, you may have to mill the bellhousing to make up for the adapter plate (VQ to JZ) depending on what adapter you use. I also know that collinsadapters.com offers a shifter extension shortening service along with a trans adapter that does not require the bell housing to be milled. I'm going to buy the collins kit as it's the simplest bolt together solution and you can buy your own 350z clutch, use OWM slave and OEM 1jz starter :-) Oh plus no shaving th bell housing like you mentioned. How long is the FD gearbox by comparison to the 350z one? You know....the R154 is is an Aisin(brand name) transmission. What that means is that any Aisin transmission with the same bellhousing bolt pattern will bolt up. Options include rhe R150, the R151, the NV1500, the Jeep AX15, the Isuzu AR5, and(what I use in my RA29 Celica with a RWD converted SRT4 engine) the Chevrolet MA5. The MA5 is essentially a beefed up R154, with triple cone synchro 1st and 2nd, and double 3rd and 4th, its a 5 speed, not a six speed, but with the the poor 6th gear ratio of most 6 speeds(the z for instance has a .79 6th) there is no point to a 6 speed, just extra weight. The MA5 has a .79 5th. This means your car will actually be slower with a 6 speed than a 5 speed, especially if you are boosted, you have to shift through an extra gear(takes time) and every time you shift in a turbo car you loose boost. Dont get caught up in thinking a six speed gains you anything...most of them dont. The exception being the T56, which gains you a nice cruising 6th, some as high as .50 depending on the version you get. The MA5(came in both the Solstice/Sky and the Colorado/Canyon/H2 trucks exactly the same except for 3rd gear ratio and the solstice/sky version have a remote mount shifter location as opposed to the more conventional shifter location of the truck units, but they are nicely cheap transmissions...picked mine up years ago for $350 with zero miles) has a steep 1st gear ratio...but no worse than most six speeds(again, about the same as the z six speed) Input shaft lengths on the Aisin transmissions vary...as do the spline...meaning you might have a bit of work figuring out your clutch setup. As to shift quality, I cant compare to a R154, never having driven one. It feels solid to me....like a mustang t5 with an aftermarket shifter installed. Collins motorsports offers adaptor kits. I ordered my 20b to Nissan transmission adaptor kit from him. They have the complete kit for 1j/2j for like $950 for a clutch/flywheel setup that handles up to 600whp I believe. From my understanding, the only time you'd need to mill the bell housing down is when you do a RB to G35/37 trans. Roughly 14mm if I recall correctly. When I was going to do a 2j in my g35 the only thing I needed to alter was the shifter bracket (shorten it) and the driveshaft. Why have that extra weight? Well for me, when you have a trans that has been rated to well over 1000whp before and if it ever breaks is less than $900 to buy them used with low mileage it's a no brainer. One of the main reasons I believe people go to these transmissions is to NOT lose that 6th gear with the 2j and is far less expensive than the expensive getrag. Last edited by Broke_A_Baller; 08-23-15 at 09:53 AM. What are you losing if you lose a 6th gear though? Thats just my point....a 6th gear weighs more, you have to shift an extra time, and you will loose boost when you shift, and you arent any more fuel efficient than a 5 speed with the same final gear ratio...you gain nothing. Lets compare a R154 to the z trans shall we? So to sum it up, the R154 is superior in every way in a direct comparison...dont know what power the R154 is rated for offhand...but they have a reputation for being tough transmissions. If you need a tougher version of the R154, step up to the AR5 or MA5(at far less cost) while still using the R154 bellhousing. Do you see my point? Your car will be slower with that six speed than a R154, you will need to shift an extra time, the trans will gain probably 20lbs for the worthless 6th gear, and you will have to respool your turbo one extra time. The idea of a 6 speed is nice...but ONLY if they have a final gear ratio that makes it worth the downsides, its certainly a waste of time adapting a M6 Z trans instead of using a R154(you will be in just as deep money wise by the time you have the adapters, etc). 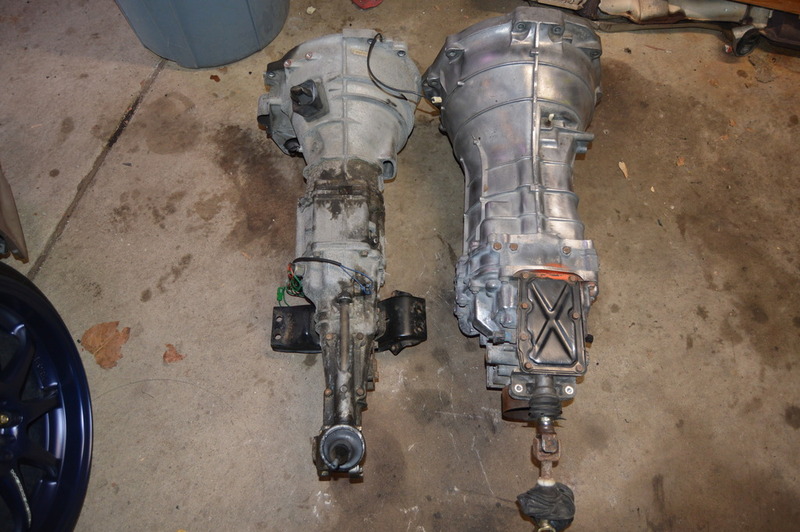 Now that being said, its not worth it to reverse engineer a 5 speed to put in place of a six speed(the added cost is why I dont replace the MT86 on my 2013 mustang v6 engine with a more reasonable final ratio tremec 5 speed) but I think going through all that trouble and cost for what is effectively a downgrade isnt the best course of action. Last edited by Narfle; 08-23-15 at 07:10 PM. 478 is pretty heavy...heavier than a LS1, just shy of an Iron block/Iron head Chevy 350. At that weight you could get one of the new Hemi v8s, or alternatively you could use a Vortec 4200 inline six...its no slouch even stock at 280HP, the crankshaft on the vortec falls apart at 1600HP...so they can be built to make pretty massive HP, all for a weight of 470lbs...larger displacement, all aluminum modern inline six. Its what I would use if choosing an inline six...but price and availability factor into that as well. Besided...when do you you ever see a built up 4200 swapped into something other than a Chevy truck? the R154 does not support as much power when compared to the CD009. The CD009 is simply a cheap alternative when being compared to the getrag V160/V161 (USDM supra 6SPD transmission).In addition, the R154 shifts like a truck when compared to a smooth CD009. There are multiple 350/370z's running 1000whp on a CD009 in drag racing applications. Used CD009s are going for $600ish and brand new units can be had for about $1500. i understand the importance you are putting on the 5spd ratios compared to the 6spd, but what vehicle application are you talking about? Yea it might hold true if we are building a 1/4mile car but that is not the purpose i am aiming for. I still dont know what people mean by smooth shifting. I prefer a solid feel to my gears when I shift...a definitive click, rather a sloppy mushy feel...the solid feel I suppose could be described as notchy, and the sloppy feel as smooth...if that is the case then I far prefer the notchy feel...but shift feeling aside, the ratios affect daily driving and road course(or auot-x) just as much as drag racing. I do see how if you are just looking for cheaper getrag equivalent the Cd009 is great for that. Back in the late 70s when everyone was going from 4 speeds to 5 speeds, there was much the same type of hype...more gears is better...but at least back in the 70s 97% of the cars in question were NA, where it really did make a difference(though a small one). Its like saying 7 speed manual would be better than a 6 speed....look at semi trucks...they have like 15 gears...must be better right? I support more gears in an automatic trans...at least to a degree, where it does give the ECU more options for more efficient operation, but an automatic trans can shift far faster than a human, but driving around on a daily basis I never find myself thinking "wow, I wish I had another gear between 2nd and 3rd" the times a gear like that would come in useful are few and far between. Im in to know if the cd will fit in a fd as well seeing as I have 2 of them kicking around. I'm going to be using one on my 20b in my fd. 13B FC 5 spd VS CD009. Using the Hoke performance shifter mount that rx7ali posted the linkage is shortened to the joint seen on the linkage in the picture. sitting in the FC tunnel, as far as it will slide in until it hits the trans mount lumps on both sides of the tunnel. Should be a snug fit with those cut out but will fit. Any reason the RS5R30A isn't considered? I'm currently trying to find a good match for a 1JZ setup. Kind of curious about shifter placement though.